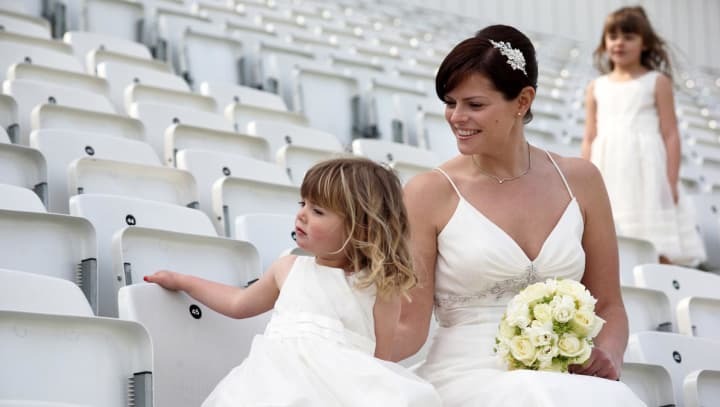 Trent Bridge, the historic home of Nottinghamshire County Cricket Club, will host a Wedding Open Day on Sunday 17 February (11am-3pm) with free entry for all. Soon-to-be brides and grooms are invited to attend with their family and friends to soak up the resplendent charm of our historic venue whilst sampling a glass of fizz and some of the delicious canapés served up by the venue’s resident chefs. Guests will have the opportunity to meet the charming events team at Trent Bridge and see our modern, luxurious, recently renovated facilities configured for a wedding ceremony and reception. "Nottingham is blessed with some fantastic wedding venues, but we have something absolutely unique at Trent Bridge”, said Nottinghamshire County Cricket Club’s Wedding Co-Ordinator, Hollie Williamson. "There is a lot of history here, but our facilities are cutting edge and the mix of the old and the new has proved to be very appealing. “People rightly think of us primarily as a cricket ground, and it’s made our wedding facilities something of a well-kept secret. A small selection of hand-picked recommended suppliers will be in attendance to offer advice and provide inspiration. For more information on this special event and our wedding packages, please contact the Trent Bridge weddings team on hollie.williamson@nottsccc.co.uk or 0115 982 3000. Package based on 60 guests however additional numbers can be booked and our rates are available on request. For an unforgettable wedding kindly call our weddings team on 0844 811 8710 weddings@trentbridge.co.uk.